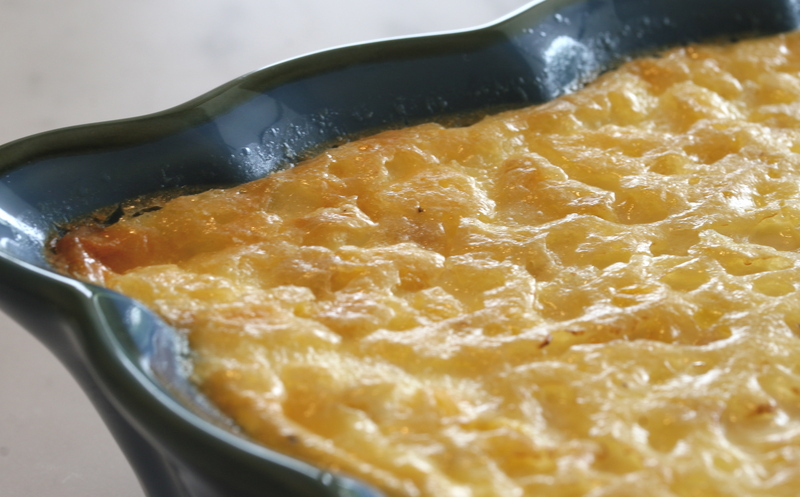 Fresh corn pudding has been around for a long time. 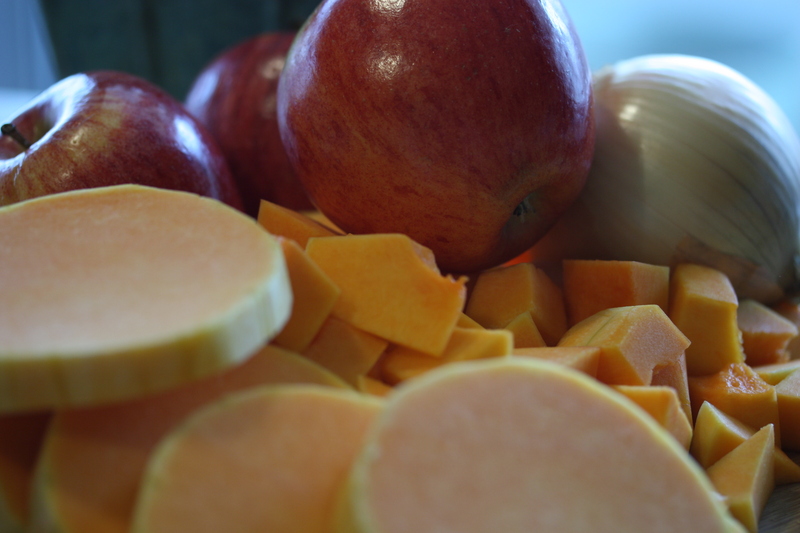 There are a thousand different versions, with each cook putting their own spin and regional favorite ingredients into the mix. I’m a big fan of the time-tested, true blue, corn on the cob boiled with butter and salt. Recently I’ve been a big fan of the many grilled versions, my current fav is lime butter and cotija cheese. Even done on a gas grill it’s incredible. Waiting patiently for the season’s crop to ripen, then abandoning yourself to the pure sensory pleasure of eating with your hands, juice running down your arm and a big shiny, butter grin from ear to ear. (ha, get it..ear to ear? Sometimes I crack me up) But….there are other ways to eat corn as we all know. If I start listing them I’ll sound like Bubba Gump reciting all the ways you can eat shrimp, so I’ll refrain. 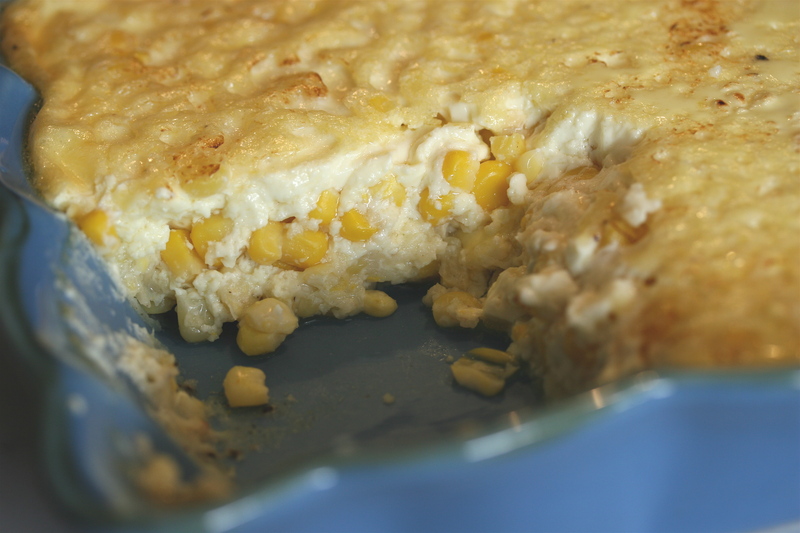 This corn pudding is a much easier, rather more elegant, way of having your summer corn. While I wasn’t able to grill mine for this recipe (my stupid gas tank thing is empty, grrr) I would wholeheartedly suggest you do so. Fresh corn in a creamy, silky custard, that is just as delightful cold as it is warm. It would be a perfect addition to any meal where you don’t want to deal with corn on the cob (I know, almost unthinkable) or just want a different alternative. I think this would be a spectacular foil to bar-b-que or to a beautiful steak with chimichurri sauce. I know lots of folks do a corn pudding at Thanksgiving, and please, don’t stop that, but I’m pretty sure you’ll agree that it shines just as well with the bright summer sun.